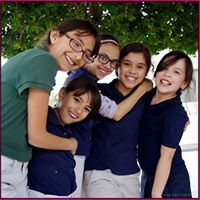 Yuma Adventist Christian School is founded on the belief that God has a special purpose for each person. The education we provide focuses on all aspects of growth, with leadership skills and academic training that prepares each child for success throughout their entire life. Our faculty and staff are personally invested in the success of your child. We are totally committed to providing the best educational environment to enable your child to grow intellectually and spiritually, maximized through the study of God’s Word to develop to their ultimate potential. We cherish all children and would love for yours to be apart of our Christ-lead School.